The cars shown in the photographs are 3-litre Roesch Talbots, manufactured between 1933 and 1934. They are presented in matching black and ivory livery. 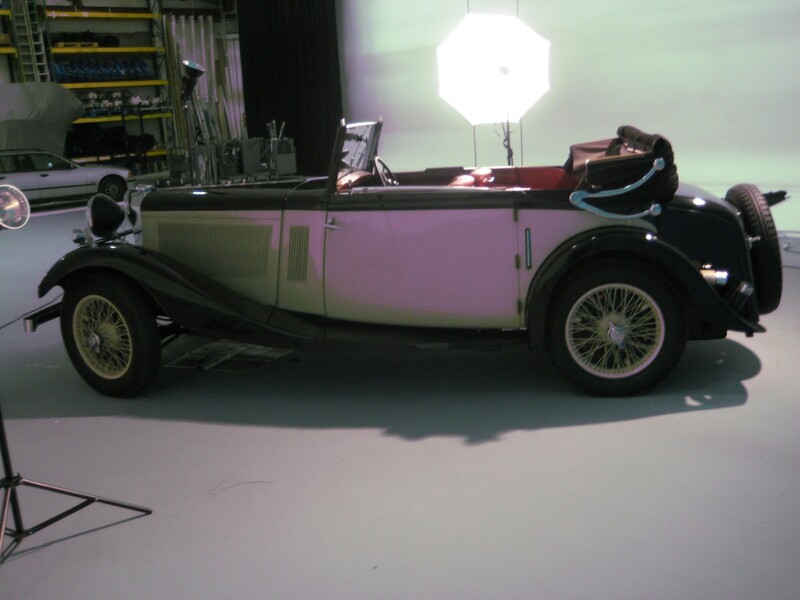 The drophead coupé (reg no 9957 AP) was manufactured in 1933 and has very pretty bodywork by James Young & Co. This car will accommodate three adult passengers plus the chauffeur provided. This car can be driven with the roof fully closed, open to half way, or fully down. The wide doors enable easy access to the rear seats. Unlike many pre-war open cars, this car also has wind-up windows. 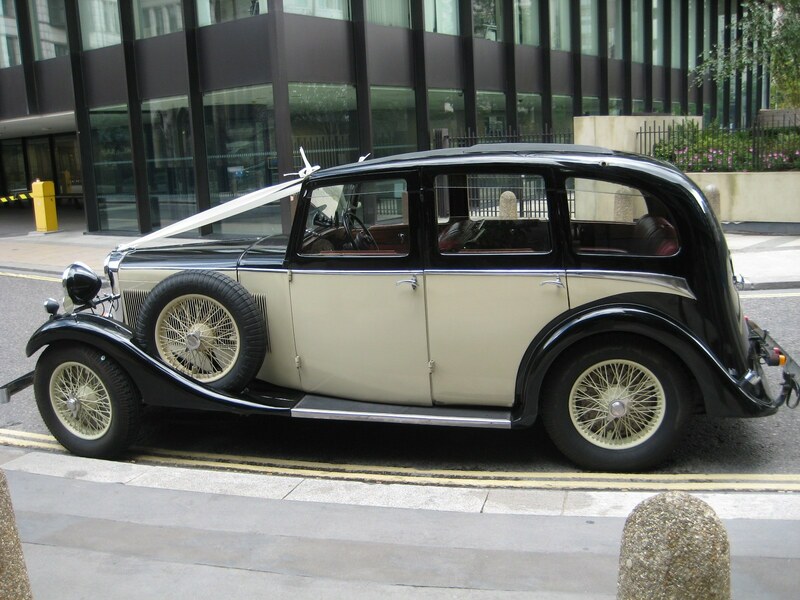 The saloon car (reg no AYK 280), was manufactured in 1934. It has been completely re-upholstered in burgundy-coloured Connolly leather with matching Wilton carpeting to return the car to its original standard of luxury and comfort. 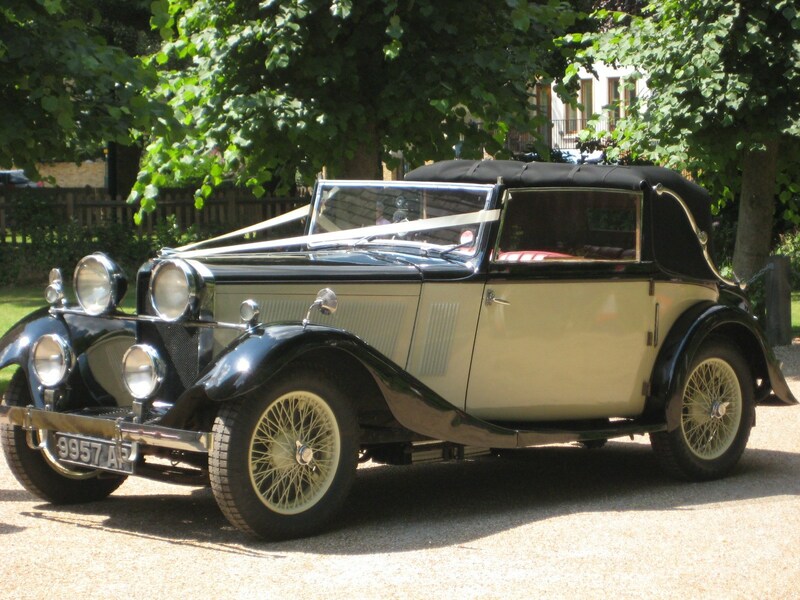 The interior of this car is exceptionally spacious and it is therefore well suited to brides with dresses of above average dimensions or for numerous bridesmaids. Roesch Talbots were manufactured in London until the Company was sold to the Rootes brothers in the mid 1930s; 1937 being the last year any "proper" Talbots were manufactured. They were superbly built cars, with which their designer, Georges Roesch, intended to rival certain Rolls Royces of the period. Roesch Talbots were also successful in competition, coming third overall at Le Mans for three consecutive years in 1930, 1931 and 1932, amongst other notable achievements. The cars can be viewed at Chalfont St Peter, near Gerrards Cross, Buckinghamshire. Our rates are very competitive and, as far as we know, we are amongst the cheapest available locally for quality, pre-war cars. Our aim is to provide the individuality and character of a rare car from the 1930s for approximately the same price as a more modern and less charismatic conveyance. 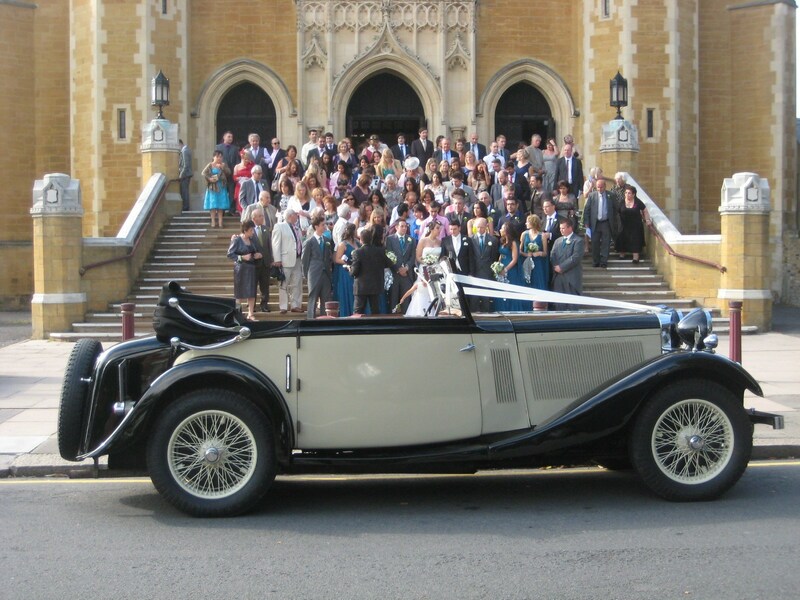 Our standard rates, unchanged for many years are: £295 for either of the cars on its own or £550 for both cars at the same wedding. The second car is ideal for bridesmaids or family members. There are generally no extras for mileage or waiting time. 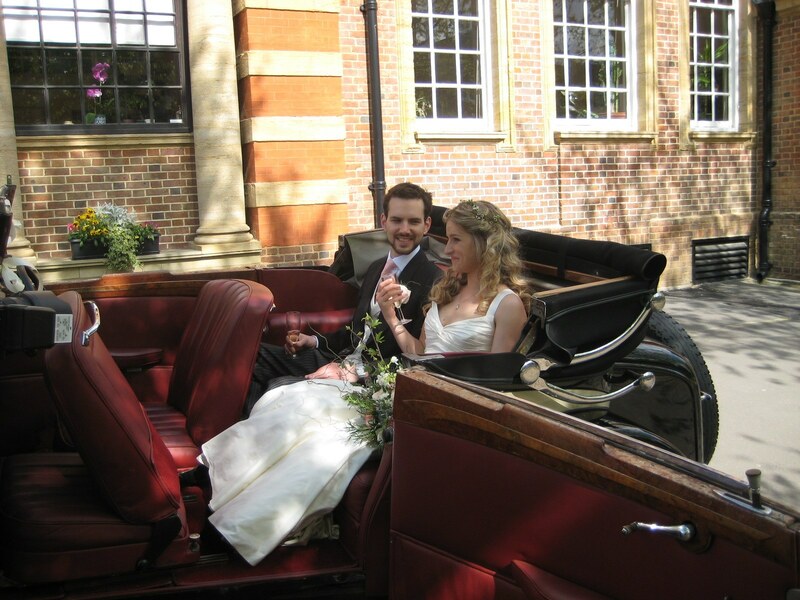 Special rates can be arranged for the car to return to the reception venue, at the end of the reception, to take the bride and groom to the airport or honeymoon hotel. Quotations, which are firm, are based upon an estimate of time to be taken charged at £25 per hour plus 50p per mile, with a minimum charge of £90. The cars have a good cruising speed so distance is no object.